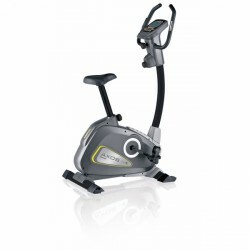 The Kettler upright bike Golf C2 Plus is a version of the approved C2. The training comfort is once again distinctively increased due to its new handlebar, a comfortable 3D gel saddle, and the possibility to work out with less resistance. 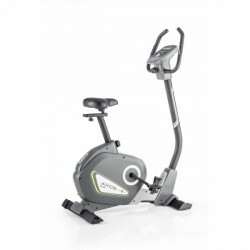 The very deep step-through makes the Kettler upright bike Axos Cycle P - long version ideal for starting fitness. You control all data via the display and get new motivation from 12 training programmes. Thanks to the user memory for up to four persons, the upright bike is great for families. 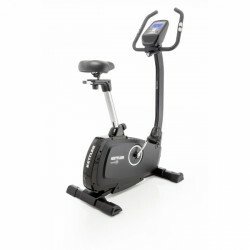 The Kettler Upright Bike Giro C1 Classic is a compact and stable upright bike that promises a comfortable training session. The Kettler upright bike Giro C3 presents a good compromise between an efficient cardio training and an optimal training comfort. The C3 convinces by a comfortable frame geometry and offers a smooth course of motion. The clear training computer is equipped with a memory space for four persons, which makes the C3 the ideal training partner for the whole family. Kettler presents the newly developed Kettler upright bike Golf C2 of the Kettler Comfort line: excellent training comfort, sturdy frame, easy-to-use training computer and stylish design. 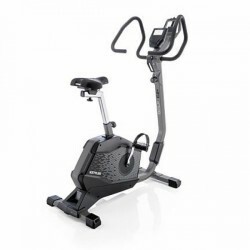 Due to the comfortable frame with deep step-through, the Kettler upright bike Golf C2 is perfekt for older users or users with physical constraints. 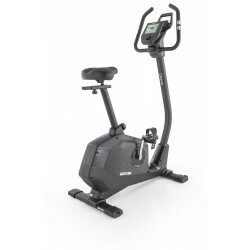 The Kettler upright bike Giro P Black is great for a successful and effective cardio training. Start a wide-range workout with its training programmes and resistance levels. Measure pulse, time, and distance and set new targets. 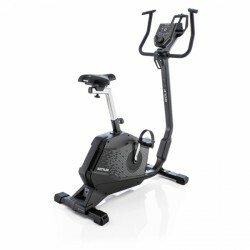 The Kettler upright bike Axos Cycle P leads you to your new fitness target. Motivation is given by 12 training programmes and 16 resistance levels. Use the clear LCD display to be informed about your most important training data. 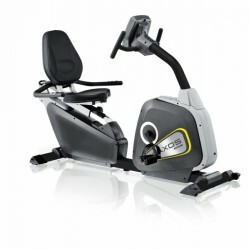 The recumbent upright bike Kettler Axos R offers a comfortable and safe sitting position. Lateral handles and an open frame make getting on and off easily possible. The Push'n Turn training computer is easy to use. 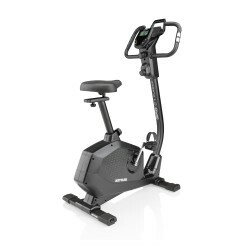 The Kettler upright bike Axos CYCLE M is great for starting your cardio training at home. Eight resistance levels allow you to challenge yourself and the six kg balance mass ensures a concentric course of movement. The heart rate is measured by the integrated hand sensors or the Kettler cardio pulse set. 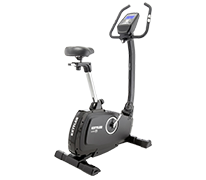 The Kettler Golf C4 is a classic upright bike, which convinces by a top equipment, a high pedalling quality, and the Kettler Perfect Adjustment System. Further advantages are the comfortable and extra deep step-through as well as 10 diversified training programmes. The Kettler Golf C4 is the perfect all-rounder for the whole family! 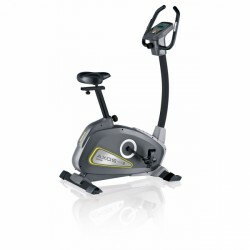 Exercise bikes of Kettler are one of classics in home sport. They convince by a simple, straight design as well as excellent stability, long durability, and inspire by great training features. In combination with a great comfort, the sporty, modern design offers training possibilities for the whole family on a Kettler exercise bike: stylish student, grandma, who wants to keep in shape or a mother, who wants to relax after working. Top quality workmanship and high-quality materials provide stability. This provides more safety and a longer lifespan. When you purchase a Kettler exercise bike, you can use it for a longer time. Exercise bikes and recumbent bikes of the Kettler GOLF line, i.e., have an impressive maximum user weight of 150 kg. When you purchase a Kettler exercise bike, you get excellent training features, of it: a good operation, great comfort, and a lot of diversion while exercising. Each exercise bike of Kettler offers all this. They are simple enough for starting. They offer a deep entry so persons of limited range of motion can get on easily. They offer many workout programs: home sport is motivating even for advanced users. Kettler exercise bikes: Little details make a big difference. All Kettler exercise bikes have an electro-magnetic brake system. This makes the starter-friendly fitness machines durable. There is no physical contact between balance mass and brake for this kind of resistance production. Therefore, less friction and less wear and tear. The brake sysetm offers same good braking features over many years. Young and old feel comfortable on Kettler exercise bikes. Hometrainers are infinitely variable and are perfectly adjustable to heights - from horizontal and vertical seat adjustment to incline of display, offered by many Kettler exercise bikes. We offer you the whole range of starter-friendly fitness equipment in our Kettler exercise bike online shop. Convince yourselves by simple exercise bikes, joint-gentle recumbent bikes, and sturdy hometrainers of the GOLF class.